During this Easter weekend the island of San Pedro was teeming with local and international tourists who flocked our beaches for some fun in the sun. If you happen to be walking our beautiful beach this morning you might have noticed a huge and luxurious super yacht in our Caribbean waters just outside the reef. Who might it be you might ask? Well it is one of the world’s wealthiest people and American business magnate, investor, philanthropist an author – Bill Gates arrived this morning in his super yacht ATTESSA IV to San Pedro. 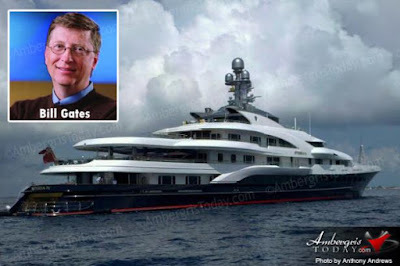 Sources told Ambergris Today that Gates arrived in his super yacht this morning, Tuesday, April 10, 2012, with his family; the yacht is anchored just outside the reef in front of La Isla Bonita. 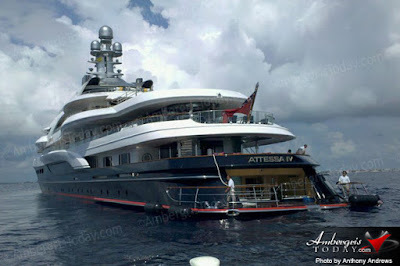 The 100-meter long yacht has a helipad and it is believed that the Gates, along with his family, were transported to Cayo Espanto Private Island via helicopter. The family went on a snorkeling trip to enjoy the abundant marine life that Hol Chan Marine Reserve has to offer. 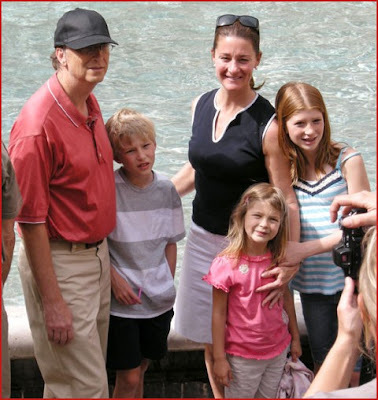 A party of seven (five adults and two children) were accompanied by four tour guides from the private resort to ensure a safe and fun snorkeling trip.